Usually I'm able to listen to an album three times (sometimes less) to tell you exactly what I think about it. It took much more than that with this Dire Straits debut (not to mention the times that I've listened to this in the past), and somehow it still doesn't seem like it sank in. Well, I guess it's time to move on! I suppose I expected to like these guys more when I finally took the time to properly delve into their debut, but I guess that didn't quite materialize. However, I don't have to be a fan to like the group, though, and they do everything in Dire Straits to prove they earn my "like." Perhaps one day I'll finally take their stuff to heart, but until then, I shall discuss their many merits and shortcomings as they apply to me in this point in time. First and foremost, they are excellent instrumentalists! They have quite a knack for constructing interesting textures and grooves. Notably, the quasi-funk of "Setting Me Up" and "Southbound Again" are especially nicely done, in my opinion. "Six Blade Knife" has a nice tendency to catch me under its hypnotic spell and then, when it has me there, Knopfer throws out his patented brand of minimalist guitar noodling. Of course, there's the big hit that everybody knows: "Sultans of Swing." It almost seems out of place... It's a thunderous and upbeat song with an especially catchy riff, melody and those unstoppable and classy guitar licks. The big selling-point for Dire Straits is they are tasteful and intelligent. It does have a tendency to grow dull, but just as soon as I force myself to pay attention to it, Knopfer's guitar noodling gives me an excellent reason that I should never have let my attention drift away! (Be a disciplined listener!) These guys aren't show-offs, which is one of the reasons it'll take a few listens before this stuff really begins to soak in. (When I scored the track reviews, I had "Six Blade Knife" pegged as a B until I gave it a fifth or six listen and finally "understood" it. This material tends to be enjoyable in rather subtle ways, which continues to makes me suspect that one day I'll count myself as a Dire Straits fan. Luckily, this debut proved to me that it's very worthy for a revisit. The lyrics have been correctly identified as being wonderful. I was already aware of the lyrics for "Sultans of Swing," which are much more vivid and imaginative than 99 percent of the other songs I hear on classic rock radio... and, that's a high compliment, believe it or not. This album is even less easy to get into than the debut. The songs are less exciting, the sound is looser. Knopfer isn't quite impressing me with his guitar work like he did earlier. All that said, I don't think this album is so much worse than that classic debut. There are two major strikes against it, however. 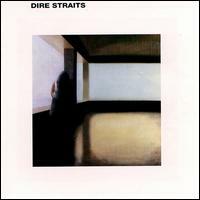 Firstly, it doesn't have a "Sultans of Swing"-like hit on it. Secondly, the material isn't nearly as tight and well-played out. But speaking as someone who wasn't profoundly overwhelmed by the previous album, I don't care that much as long as the material is still solid. Furthermore, "looser" material has its benefits, too. This just means it's more relaxed and not so freaking stiff!!! Let's talk more about these songs instead of only comparing it to the original! There is not one bad song on here!! They open up the festivities with "Once Upon a Time in the West," a likable mid-tempo rocker that goes on for about six minutes and never grows tiring. Later on, "Lady Writer" is a great, more upbeat pop song with some excellent guitar work. "Portobello Blues" is notable for being a sweet ballad-like track. Also, "Single-Handed Sailor" is especially memorable and has both a catchy riff and vocal melody. This album has a reputation for being boring. Sure, I kind of miss diversity here, but there are only two songs that I think qualify as boring. "News" doesn't seem to do anything that's worth talking about. It's the same sort of style that Dire Straits has always been doing, and it's not particularly entertaining to sit through. The closing track "Follow Me Home" is probably the worst, and it features a very monotonous groove. Knopfer can't seem to think of too many interesting things to do with it! Those two tracks are what's especially keeping this album away from 12-scoring status! Nonetheless, the 11-scoring status seems to be a little higher than what most critics give it. I believe the overall work is entertaining enough to deserve it. This is perfect music to sit back and enjoy!! They expanded their sound a little bit for this release, which is great considering their sophomore album sounded the same as the debut. They didn�t change much however, which is evident right from the beginning � apart from an introduction reminiscent of a cheap soap opera, �Tunnel of Love� has its fair share of resemblance to �Sultan of Swing!� The big change was the addition of a barroom piano and, I suppose, less of a reliance on their signature guitar sound. The album is extremely solid and wholly entertaining for the first half at least. Diversity is the main problem, but you should probably know that going into this band. �Tunnel of Love� is a tad overlong at eight minutes long, but it�s really easy not to notice it! The group, remarkably, keeps it sounding utterly fresh for the duration doing exactly what�s right to change the tempos and textures without sounding awkward for one moment! Knopfer�s minimal guitar continues to dazzle in the needed places though, as usual, he doesn�t bother doing anything like a virtuoso should! Such a polite guitarist! I reluctantly call �Solid Rock,� a three minute ditty tucked away at the end, as the highlight of the album. It�s simple, it�s quick and it makes me want to dance! Sure, it�s a bar-rock song like all the rest, but this one�s rather infectious. Seemingly as a last-ditch attempt for diversity, they give us a cabaret number at the end called �Les Boys.� Unfortunately, that�s the least convincing song of the bunch! I complain about a lack of diversity, but maybe they were just on the right track� Hm! A few romantic ballads pop up here and there. �Romeo and Juliet� is one of the better ones with a not-so-memorable melody, but great textures and interesting instrumentation. �Hand in Hand� is easily the worst of them � it�s boring at the start and the song development (that invariably picks up the pace) is uncharacteristically clunky! �So the album�s a bit flawed. What else is new?? A lack of what I�d call �special moments� is generally what turns me off of this album. It was a fun thing to sit through and tap my feet to, but nothing particularly about it gives me the urge to revisit it anytime soon. 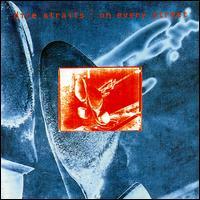 I guess it wasn�t written in the stars for me to be a Dire Straits fan� at least at this point in my life. 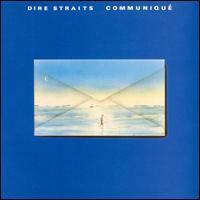 Dire Straits have already started to abandon their guitar-heavy pub-rock from their first two albums. They�re continuing to go down an atmospheric/soundtracky route (to the point where they�re starting to sound spacey) that they�ve already touched upon with Making Movies. The result is a remarkably consistent and engaging album, and one of their finest works! The album features only five songs, but they�re huge in terms of length. It�s easy to make a 14-minute song completely dull and void of ideas, but they pulled it off wonderfully with �Telegraph Road.� It�s a song that I want to listen to with undivided attention. It�s rather dark, but I somehow feel uplifted by it. Amazing! Nothing else on the album quite matches the brilliance of that one, but they�re all excellent nonetheless. �Private Investigations� is one of the most developed atmospheric tracks here. Marred a bit by its excessive length and its overbearing nature, but it�s worth trying to get immersed in it. 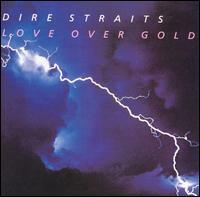 Fans probably won�t care for this album any more than Dire Straits! Well, I admit to liking this album more! It might be little more than glorified elevator music, but � they should play this music in elevators more often. Elevators would be much more fun at least! What else do I need to say? 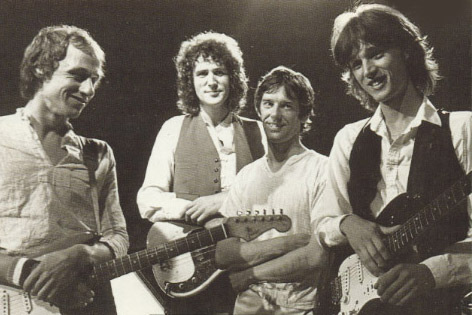 Dire Straits was a great live band!! Of all the monstrous double albums I�ve ever sat through in my life, this was one of the better ones. After all, who can say no to 94 minutes-worth of hearing Knopfer�s immaculate guitar playing in top form playing his fine back catalogue and an excited audience just soaking it in? 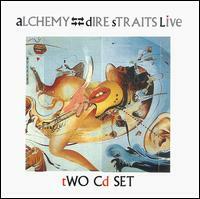 � Funny, this is a live album that I can listen to, sort of forget where I am, and find myself right there in the studio. Cheesy but true. This album consists of 11 tracks and most of them were extended longer than the already-long studio versions. Make some room for audience noise and such, but there�s a heck of a lot more jamming here. Knopfer�s pretty much the only member of the band who jams (there�s a bit with a saxophone at one point), but there are a lot worse guitarists to listen to for 94 minutes. Paul Stanley, for instance! Knopfer knows how to manipulate his guitar like those good guys from The Mahavishnu Orchestra could: he can make it talk. Luckily, he does this just as well as he did in the studio albums, and there�s a lot more of it here. The second disc is more upbeat starting with a fun throwback to �50s dance music, �Two Young Lovers� (that doesn�t appear on any of their albums) and then a fantastic version of the familiar �Tunnel of Love.� One track that was appreciated but weaker than I would have hoped, �Solid Rock� is the only track that seemed to have lost something important from the studio version. Just as it stands, however, that�s still an experience! I don�t want to make this review seem too long (sans the track reviews), so I�ll close by saying that you don�t have to be a dire-hard fan to like this (I�m no die-hard fan). The massive commercial success. 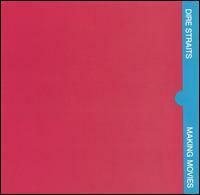 Managing to even top �Sultans of Swing� in popularity, Dire Straits comes out with the mega-hit �Money For Nothing,� which is still so saturated within our pop culture that it probably even reached the people living under rocks. The lyrics famously bash rock stars on MTV though its music video was more popular than anything in the era. Oh, don�t you love the irony! More importantly than any of its history is the music itself, which is absolutely the catchiest thing they�ve ever done. The guitar riff is up there with the classic Rolling Stones and the melody is fabulous. That�s such a universally loved song that it�s no wonder that Brothers in Arms is their most popular album. That�s not all! This album also contains the hits �So Far Away� and �Walk of Life.� The former is a highly pleasant and melodic new wave tune that�s perfect for easy-chair listening. The latter is hopelessly catchy, and I�m sure everyone is familiar with its keyboard riff. After that, though, the album�s not nearly as good� After the exciting �Walk of Life� fades out, a horn solo and boring electric piano chords pipe up with the unflinchingly lackluster �Your Latest Trick.� That�s not actually a bad song though decidedly average. It turns into a sort of elevator-music jazz saxophone performance� It�s a unique sound for Dire Straits, but it surely wasn�t one of their good ideas. �Why Worry� is a bit better though still a snoozer. It takes the form of a contemplative lullaby (which I guess is a good enough excuse for it being a snoozer). Not badly written, but it�s more than eight minutes long and wayyyyyyyyyyy too repetitive. It would have made a perfectly nice 4-minute snoozer. I can�t say too many good things about �Ride Across the River� other than I like that they�re trying out some world music undertones and it�s nicely contemplative. Again, the major drawback is it takes a whole seven minutes out of your life. Not too impressed with the two closers either, though they�re certainly better conceived. �One World� is a return to pub-rock though it�s too bland for them. 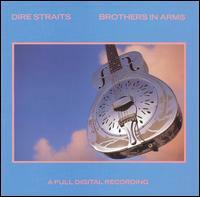 �Brothers in Arms� contains some nice guitar noodling, but it does tend to be sleep inducing. The one bit I like in the second half is �The Man�s Too Strong.� It�s a four-minute, somewhat folksy number with a nice atmosphere and very compelling arrangement ideas. Many Dire Strait fans seem betrayed by the fact that they adopted a more mainstream sound. Though listening to this, I don�t think their classic sound was compromised too much. There are just a lotta more keyboards than there used to be! They were also doing elevator music beforehand � nothing too new. Luckily, Knopfer didn�t forget how to deliver a good crunchy lick or contemplative solo whenever necessary. Barring that the overall songwriting is way worse, this more mainstream style of theirs wasn�t so unfortunate a move. It took them a lengthy six years to come up with this follow-up to their commercial smash Brothers in Arms and ... er ... evidently, they were not even trying to repeat that success. This is a very slow and very smooth adult contemporary album. It's a good one, but nothing that'd I'd ever want to listen to again. This is the sort of album that would be excellent to feature at a party if you expect your guests to be lightly sipping champagne, chatting politely and not listening to the music whatsoever. Also, this would make great elevator music! That's not a put-down of the album, but it'll certainly indicate the sort of person who ought to own this album. Do you like well-polished, classy lite-rock with jazz ties and an excellent minimalist guitar player? Among those sorts of albums, this is surely first class. I sure don't care for this genre, but there are plenty of people who love this. Q Magazine, for example, awarded it a coveted five-star rating. If I'm going to put any stock in a music magazine, then it'll be that one. (Generally speaking, I like most of the albums and artists they like, so we must have a spiritual connection!) All of these songs are very smooth, very atmospheric and very pleasing to sit through. A side effect of that is it gets pretty damn boring, and I sit through it wishing that I could have a reason to get excited about it. Making it worse is there's a lack of a great single�something as endurable as �Money for Nothing� or �Sultans of Swing.� On the same note, there is nothing here that offends me�nothing ugly, banal or loud. Again, this is a great quality if you want polite party music, but for me this album is too consistent. Also, many of these songs are 7+ minutes long, which tests my patience a bit too horribly. Helping matters a bit is their tendency to alternate the slower paced tracks with the fast ones. If they lumped all the slow songs together (like they did with Brothers in Arms), it would have been too horrible to take. This time, at least, we have a nicer balance. The album starts out with �Calling Elvis,� which is arguably the best track of the album. It has a catchy melody, a nice lite-beat and hypnotic vibe. Though, honestly, I probably think it's the album's best song because it was first. Honestly, I don't care too much about it. �Heavy Fuel� managed to impress me the least of any of these tracks. It's just too boring and more repetitive than usual.